From Abysse America. 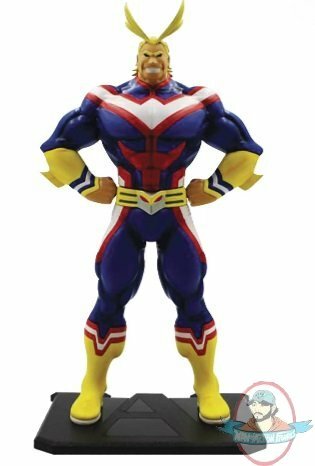 This officially-licensed My Hero Academia figurine features Toshinori Yagi, also known as All-Might, in his tri-color U.A. gym suit. This non-articulated figurine includes a removable base. Always ready to lend a hand, All-Might would make a great addition to any MHA collection!